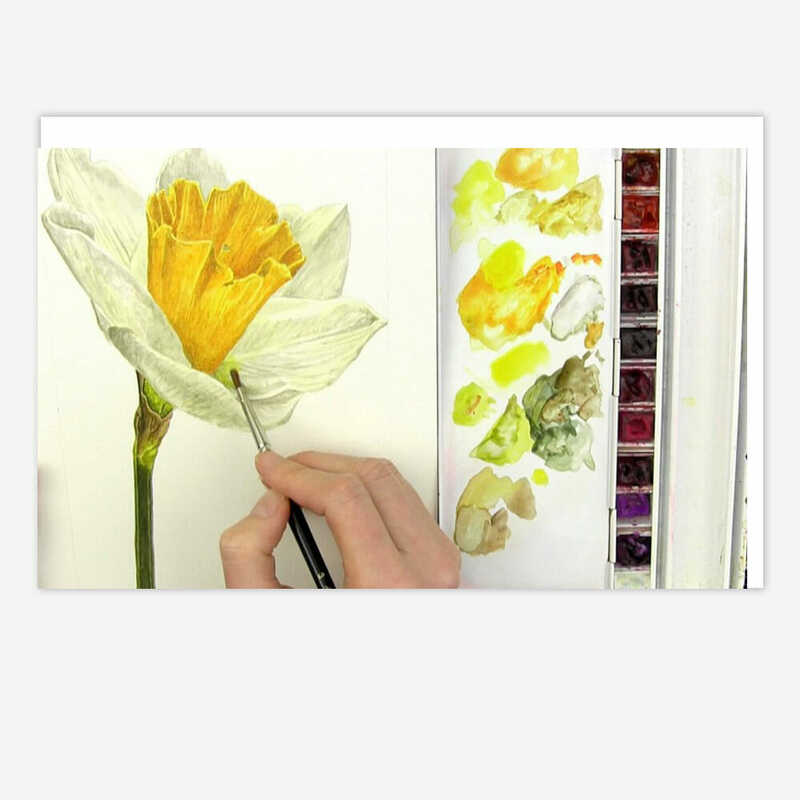 Painting with yellow in watercolour has a reputation for being tricky. When you try to create shadows on your yellow subject it can be easy to misjudge your hues and end up with green shadows. And that’s not what we want for something like a daffodil. So in this little video I wanted to share with you my tips for mixing your shadow colours when working with yellow. Why not buy yourself a bunch of daffs and experiment this weekend? 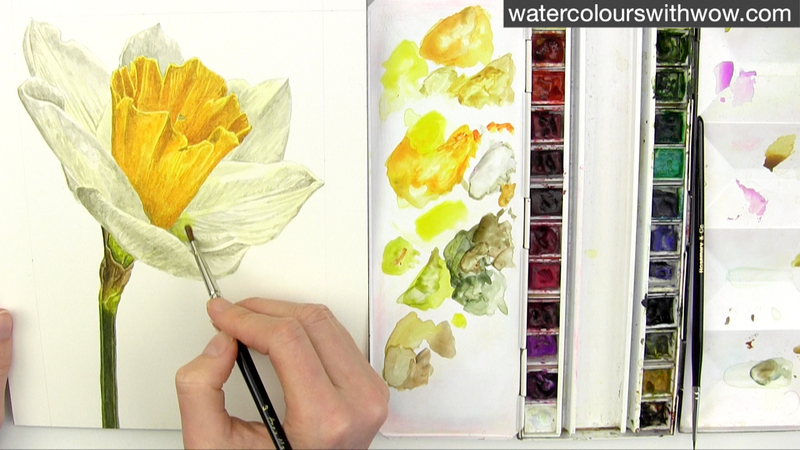 And if you’re a member of my online school then the full step-by-step tutorial of this daffodil (in real-time, including the trumpet and stem), is available there. Please let me know in the comments below if you’ve struggled with yellow before. And if you do have a go at some daffs or anything else, I’d love it if you shared them via social media using #AnnaMasonArt so that I can see them! I have painted china for many years and have started to look into watercolors and colored pencils to add some variety into my painting knowledge. I am finding some good instructors and teachers amongst your videos. Thanks for sharing the Daffodil, video. Thanks so much for posting this breath of springtime, Anna. 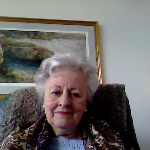 I am going to sign up again for your watercolor lessons later this year. In the midst of a couple of other classes right now but DO want to get back to your wonderful tuition! I framed my poppy and enjoy looking at it every night at dinner! Best regards. Love your work, Anna! Thank you for sharing. Many many thanks for sharing this wonderful post. I will certainly dig it and personally suggest to my friends. I’m sure they’ll be benefited from this website. 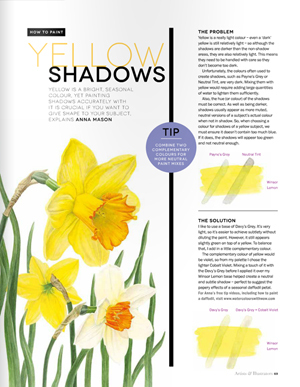 What if you painted in watercolor a yellow house what do you use for c cool shadow?